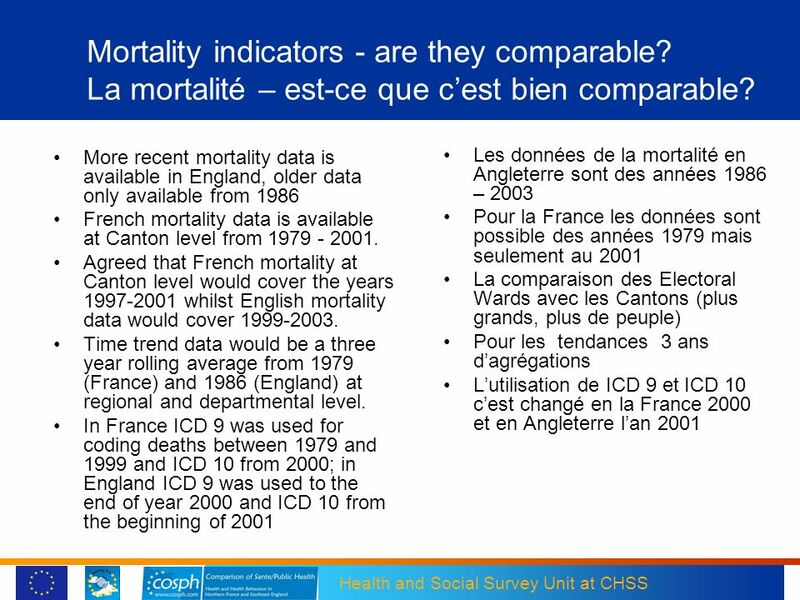 4 The key question? 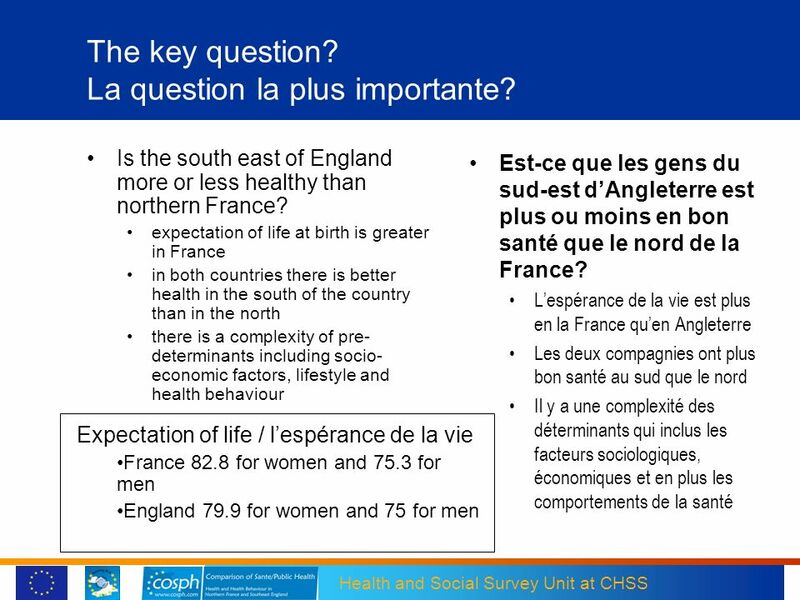 La question la plus importante? 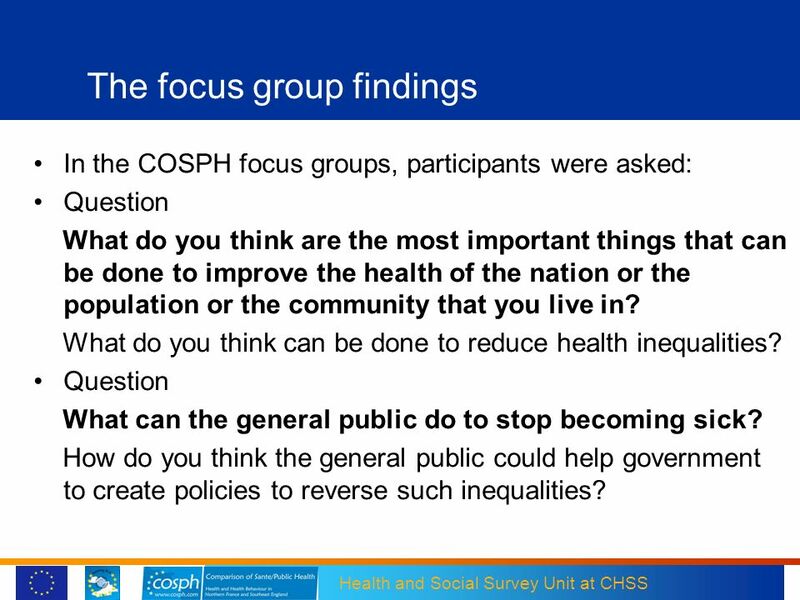 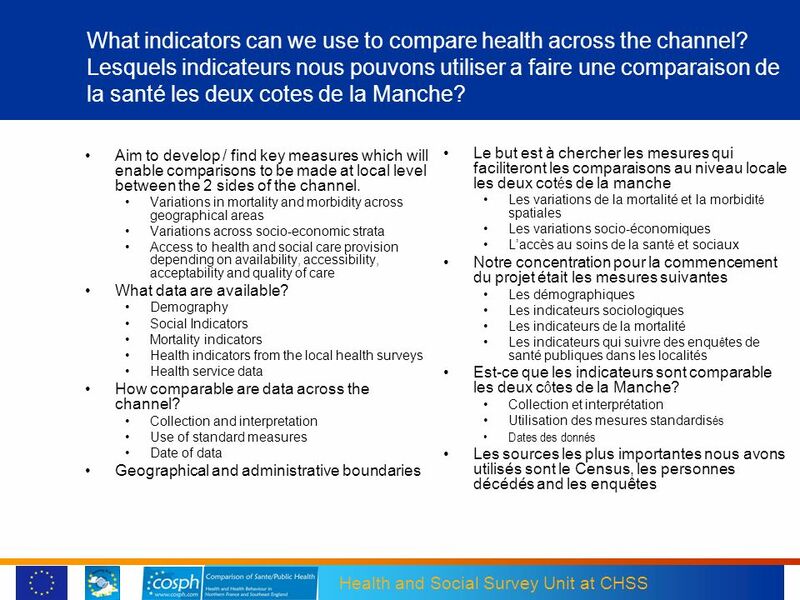 In the COSPH focus groups, participants were asked: Question What do you think are the most important things that can be done to improve the health of the nation or the population or the community that you live in? What do you think can be done to reduce health inequalities? 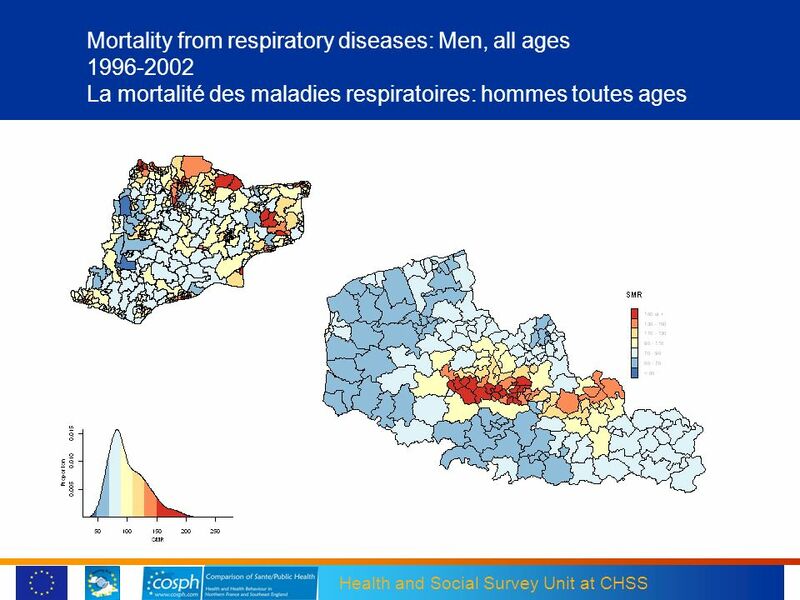 What can the general public do to stop becoming sick? 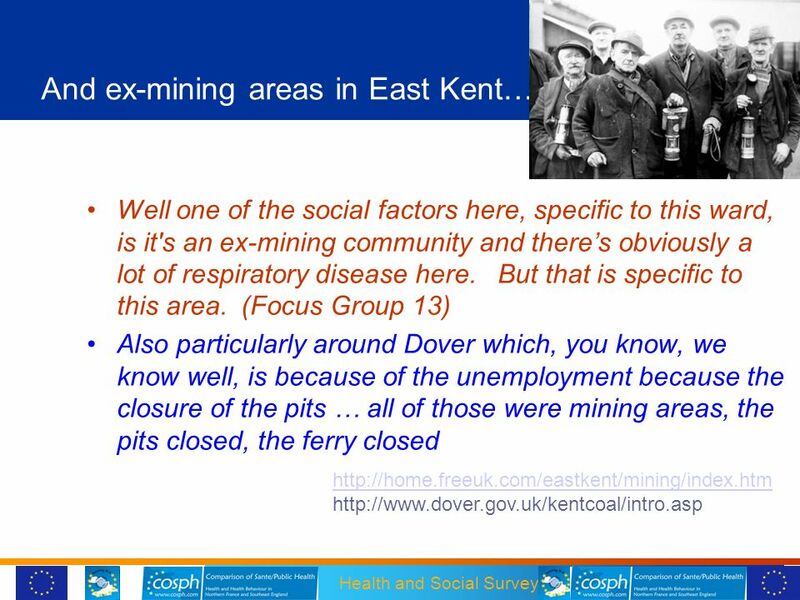 How do you think the general public could help government to create policies to reverse such inequalities? 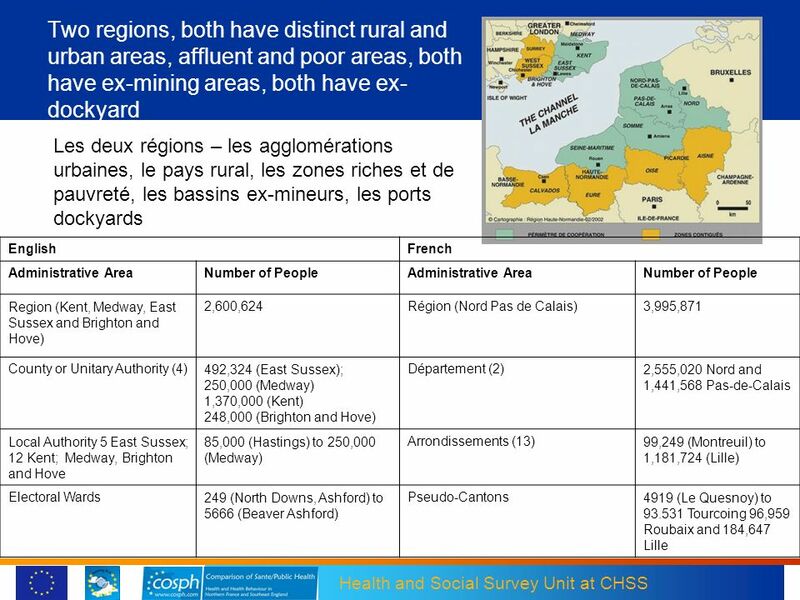 18 Deprivation at the coast? 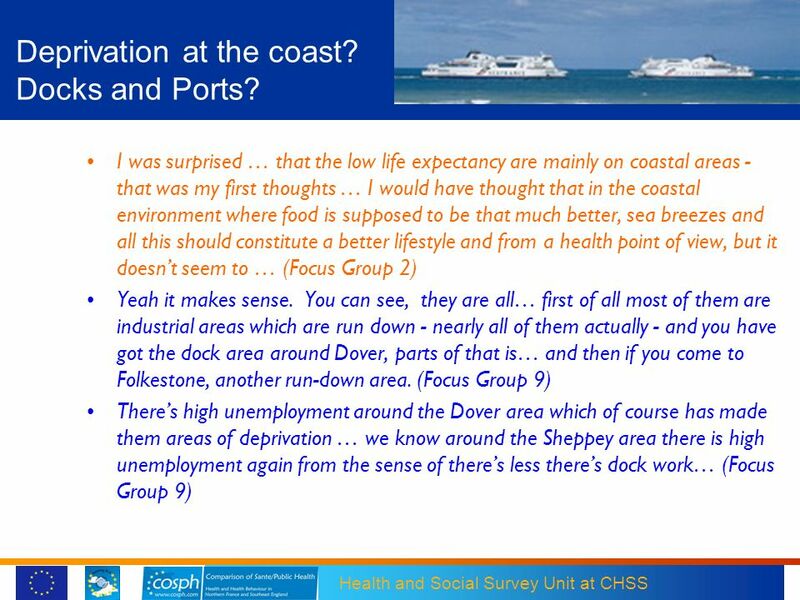 Docks and Ports? 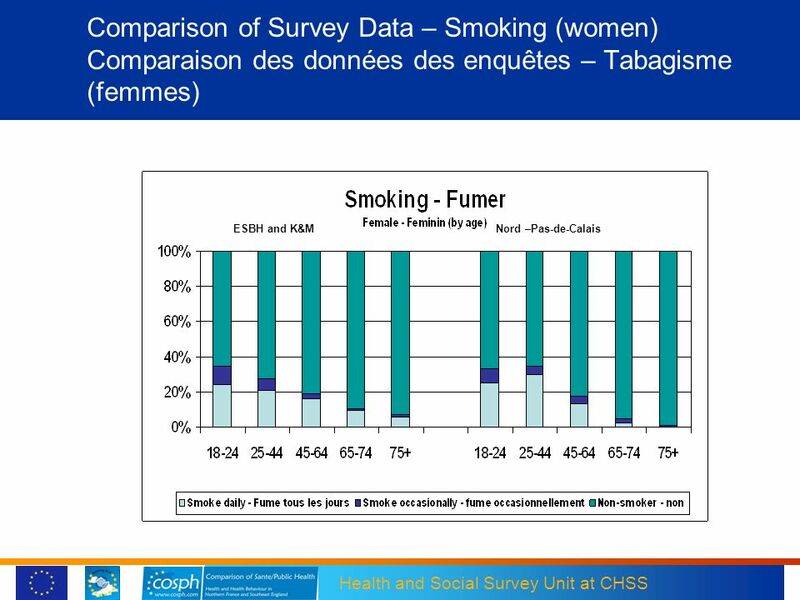 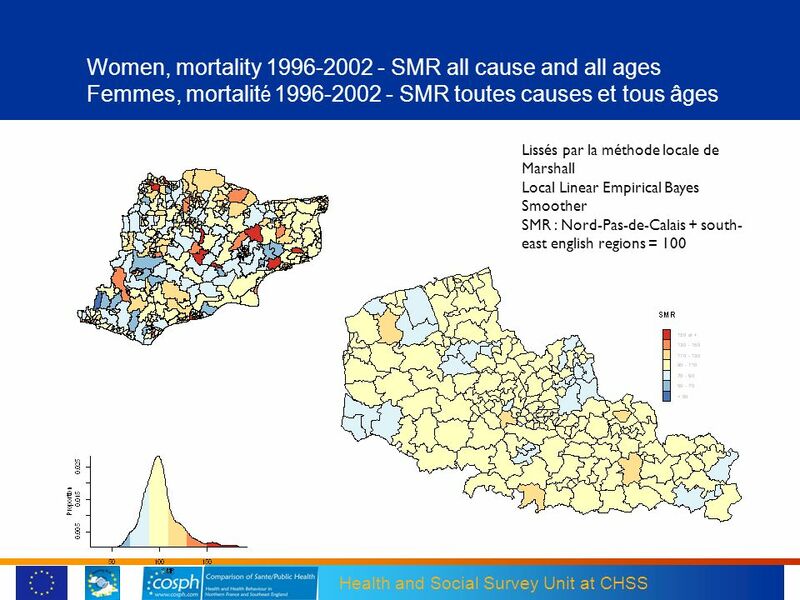 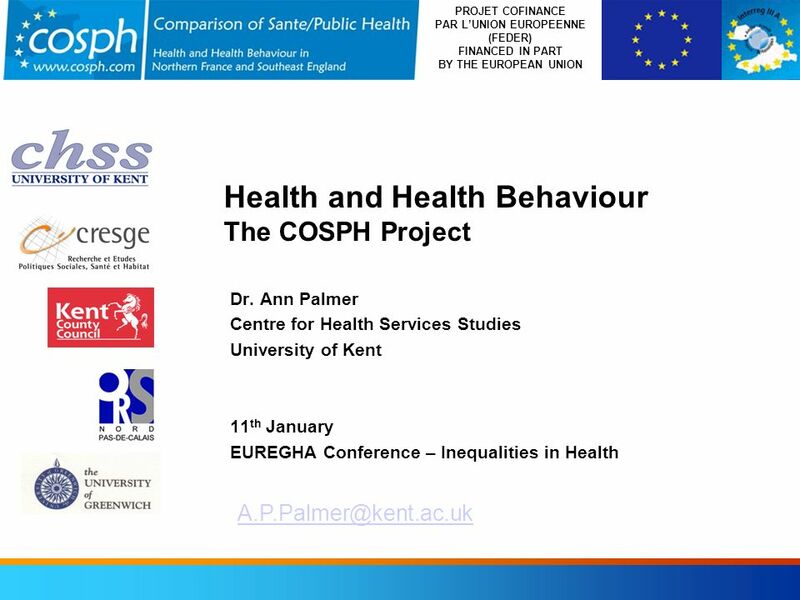 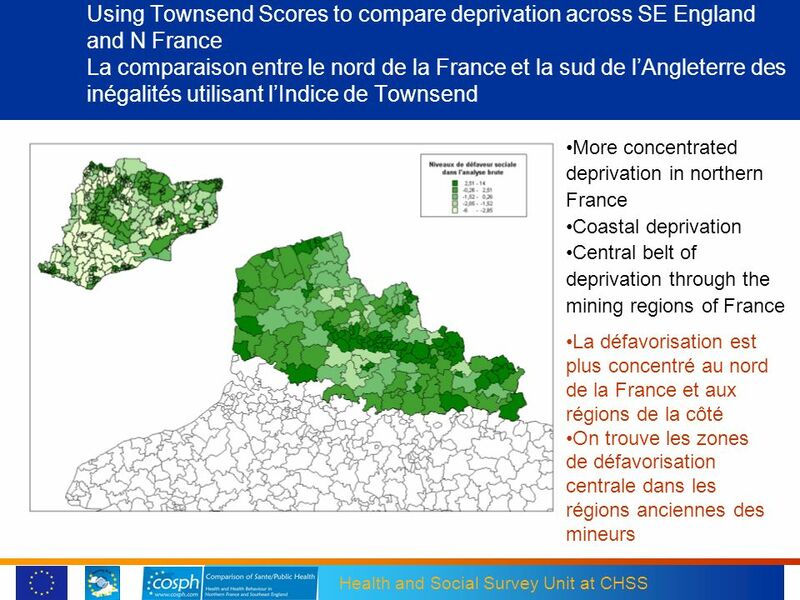 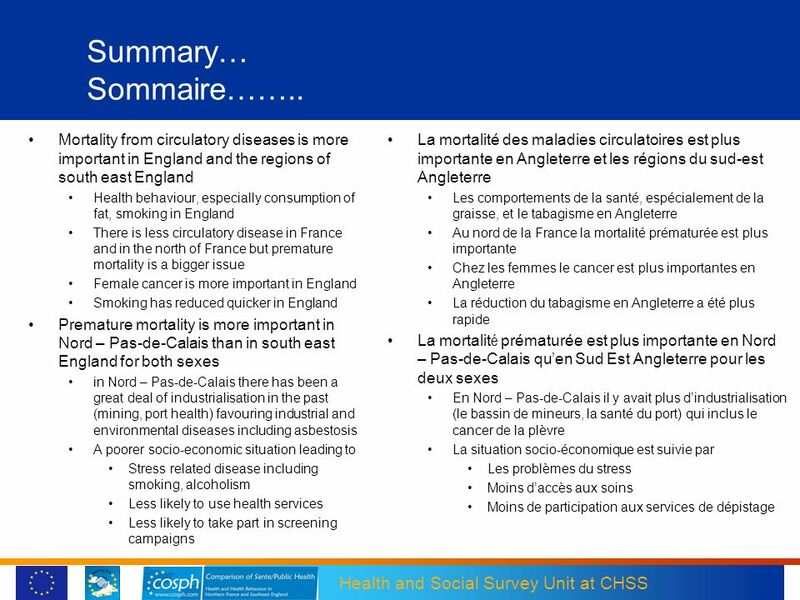 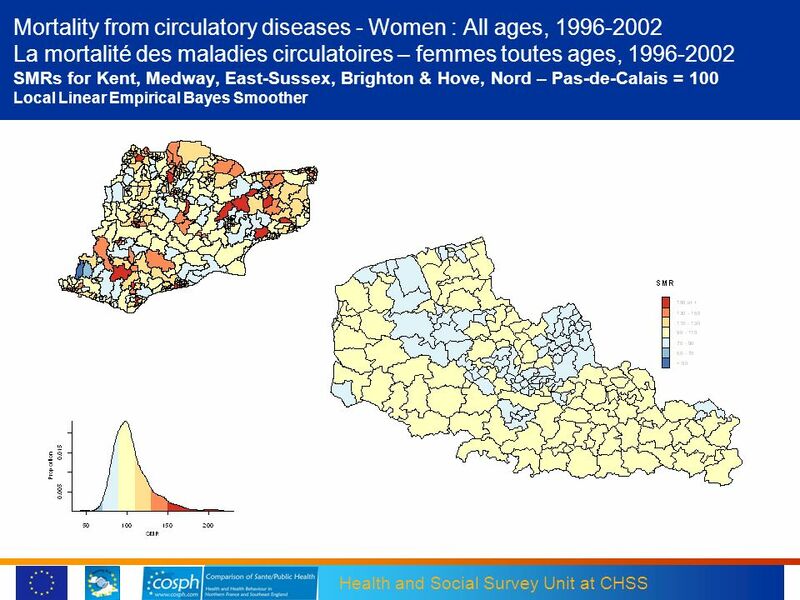 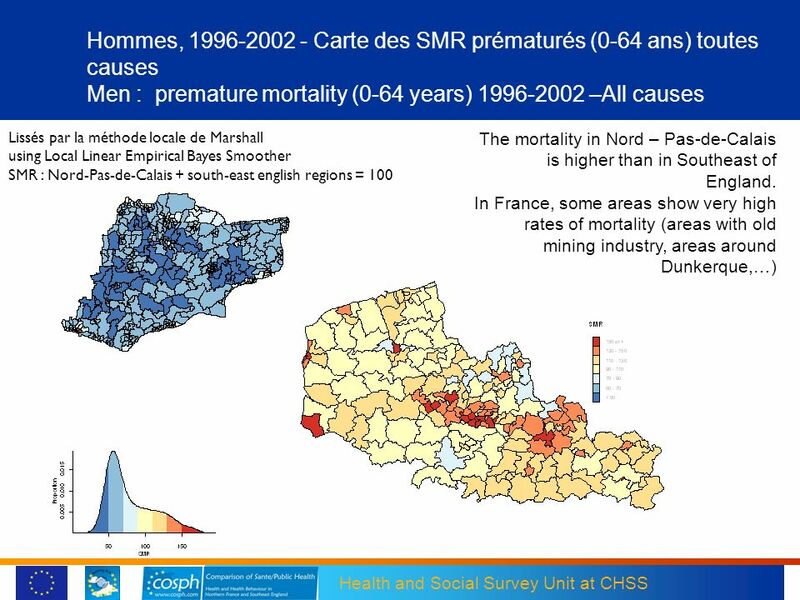 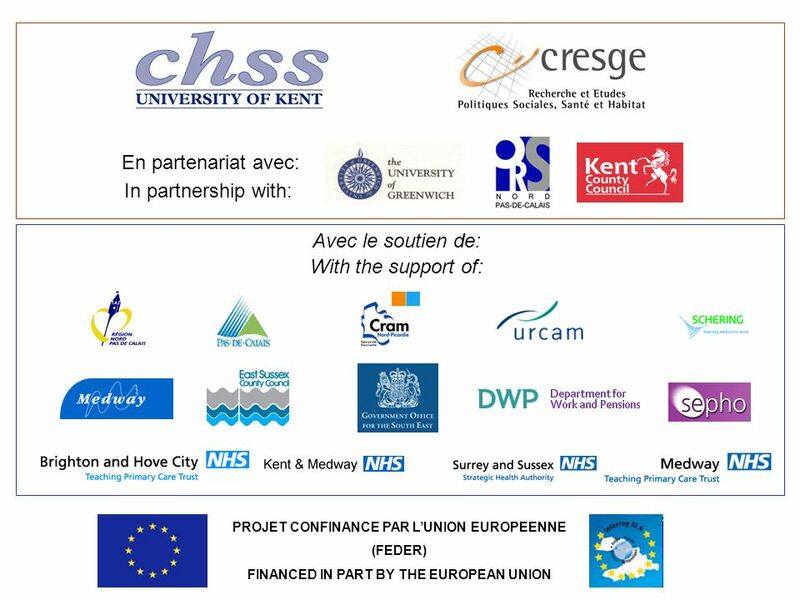 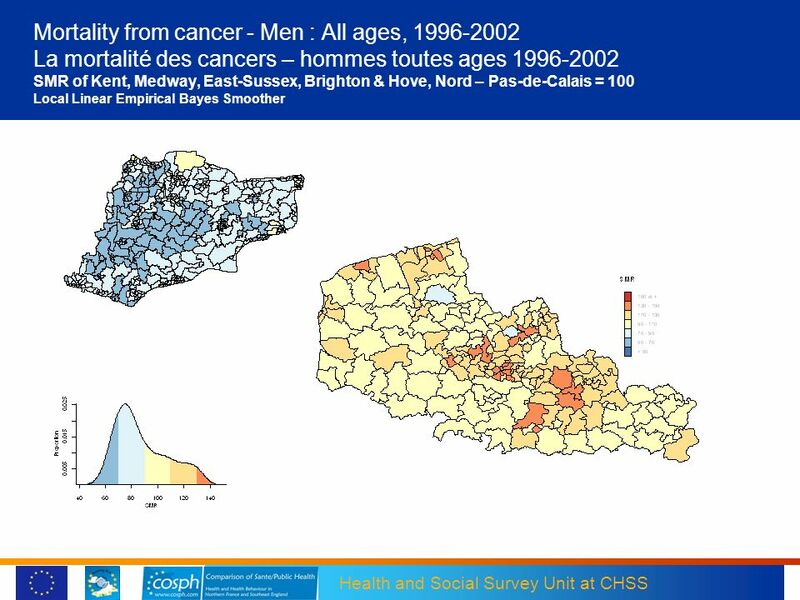 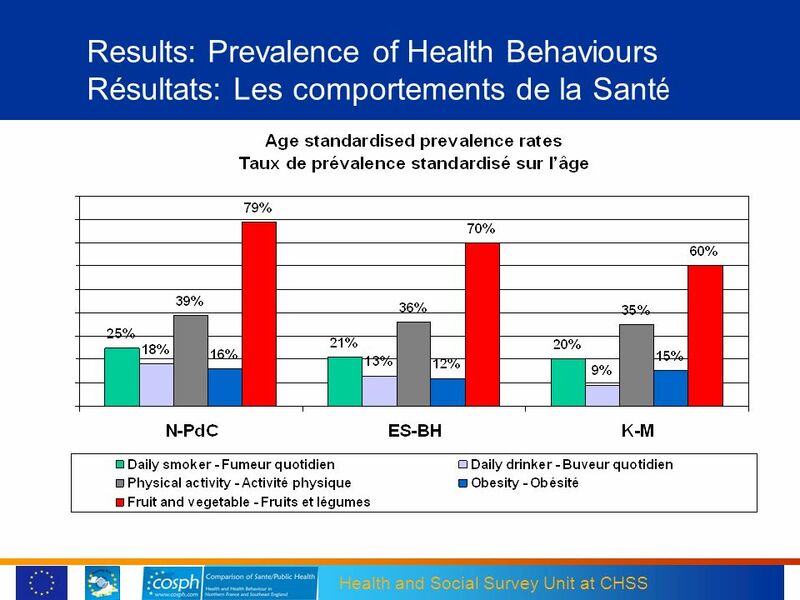 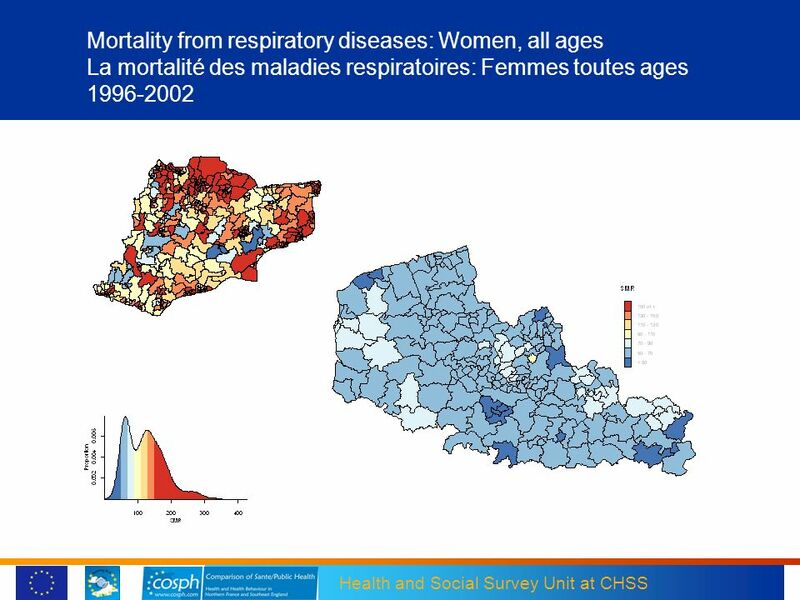 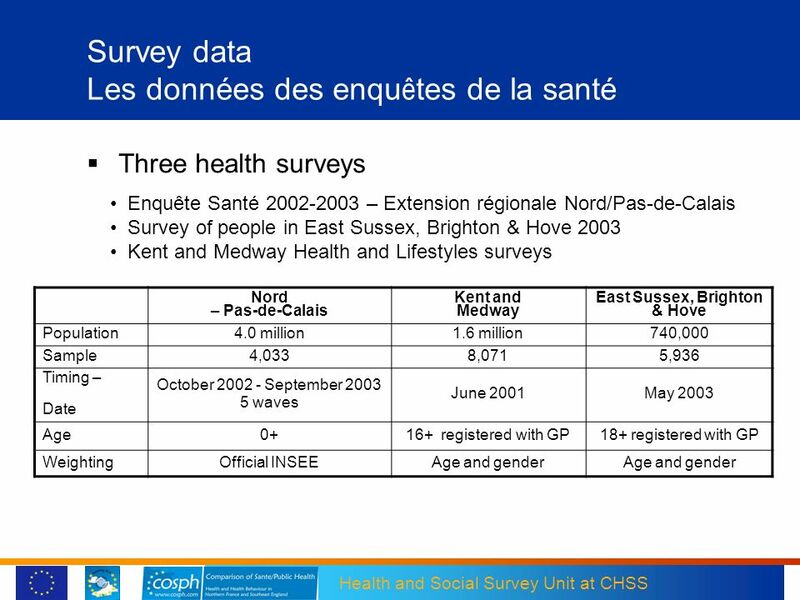 Télécharger ppt "Health and Health Behaviour The COSPH Project"
1 Report on InWor2003 ADOPT Meeting, CEA_Saclay Dec.17, 2003 P. Dhondt.